Thanks for the reply. 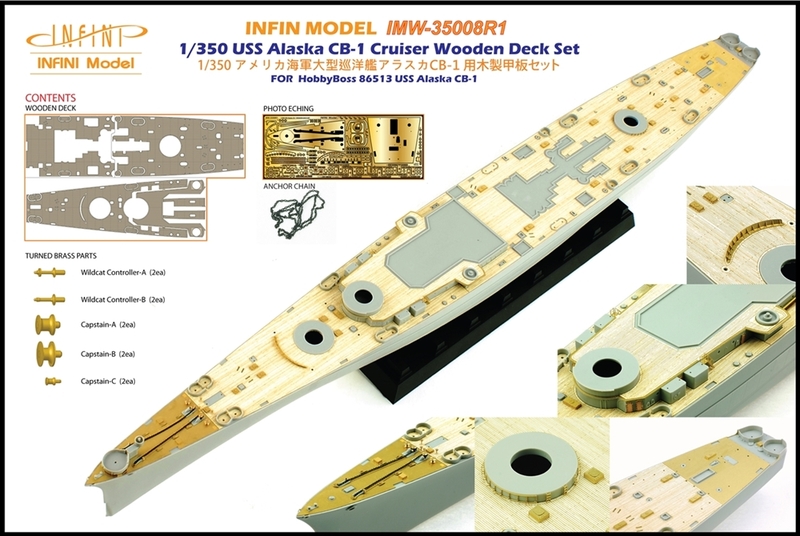 If we wanted to back date her to be in her dazzle pattern, then deck would need to be painted. Are the recommendations you have to keep it from curling and maintaining the wood look? 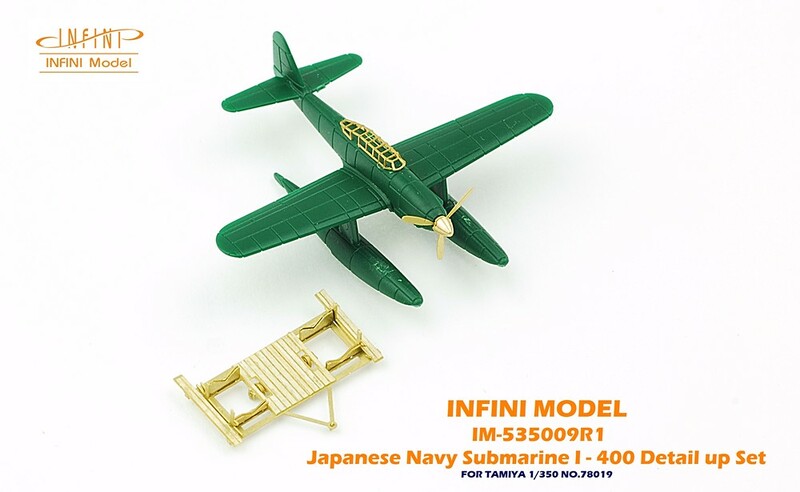 If possible, it is best to paint the wooden deck on it when it was first bought. 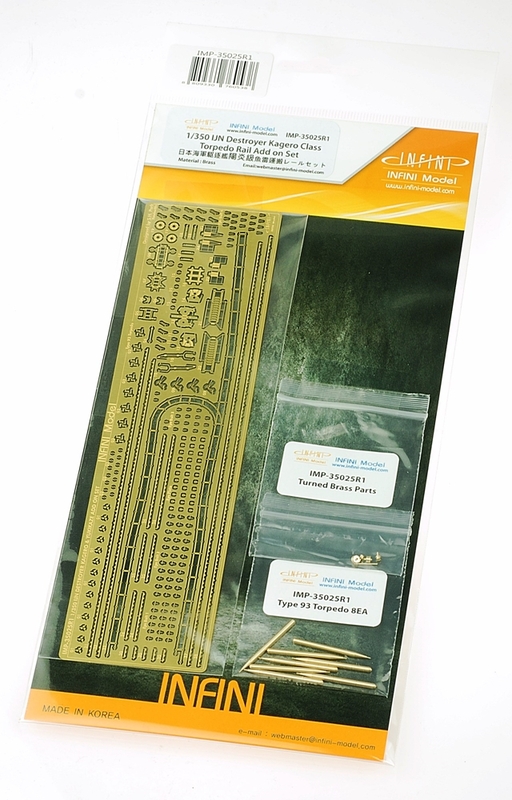 If you paint after attaching to the kit, the probability of the paint getting into the adhesive surface through the cut surface increases. 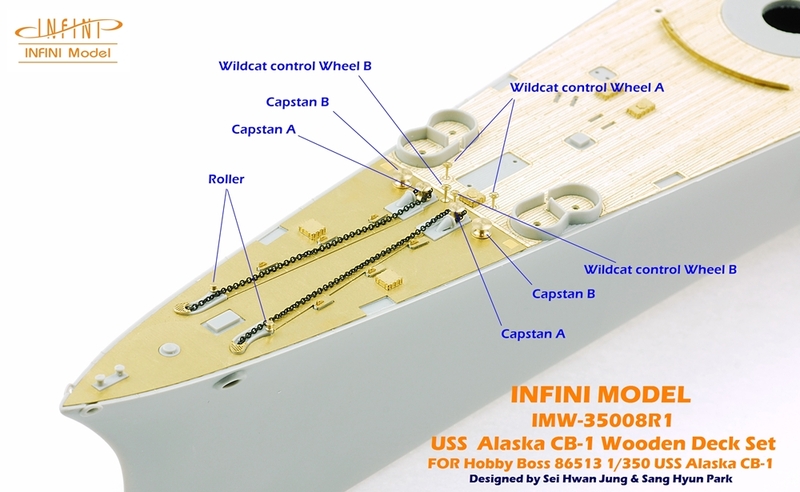 This increases the probability that the wooden deck will be lifted. it is recommended to dry quickly by using a hair dryer at room temperature. 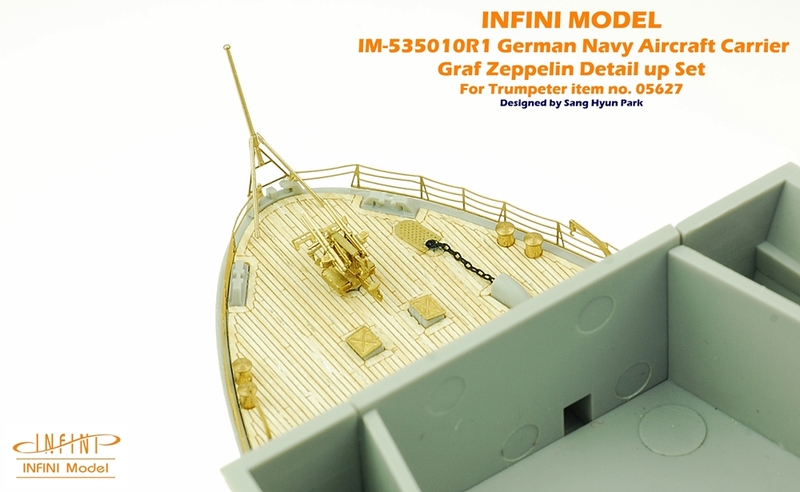 The picture below shows an example of painting using an airbrush on the Infini model Graf Zeppelin wooden deck. 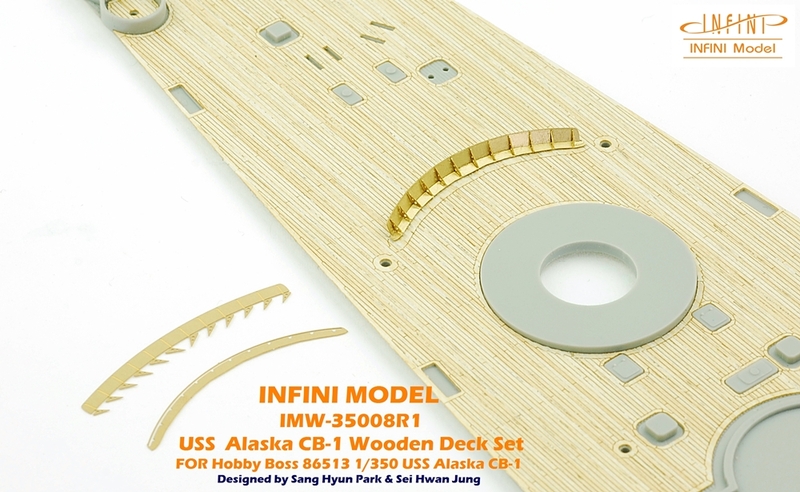 That deck does not come with a mask like the other set correct? 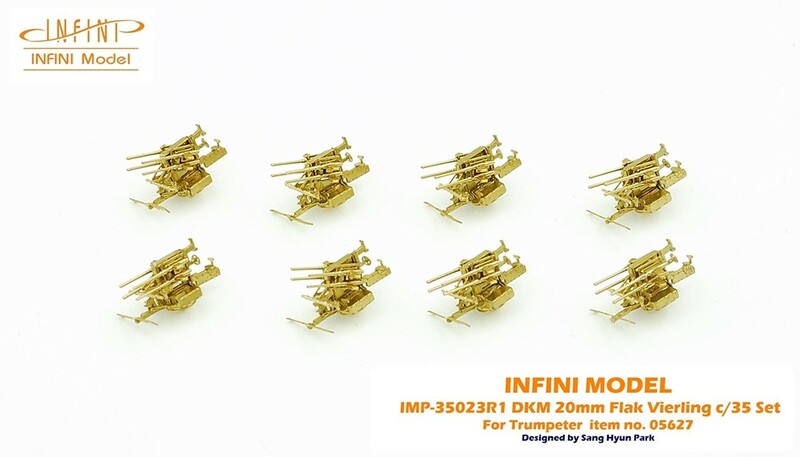 Thank you for your interest in Infini-model products. 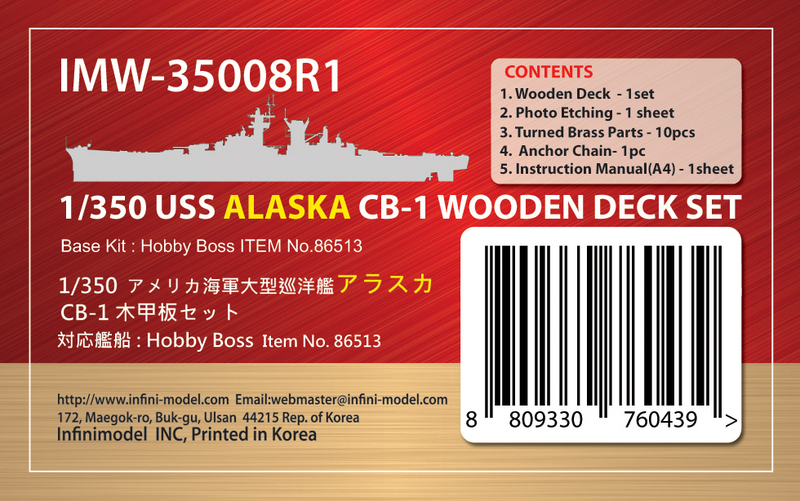 The USS Alaska CB-1 kit of the hobby boss is a form of 1945, not a camouflage pattern of 1944 like box art. 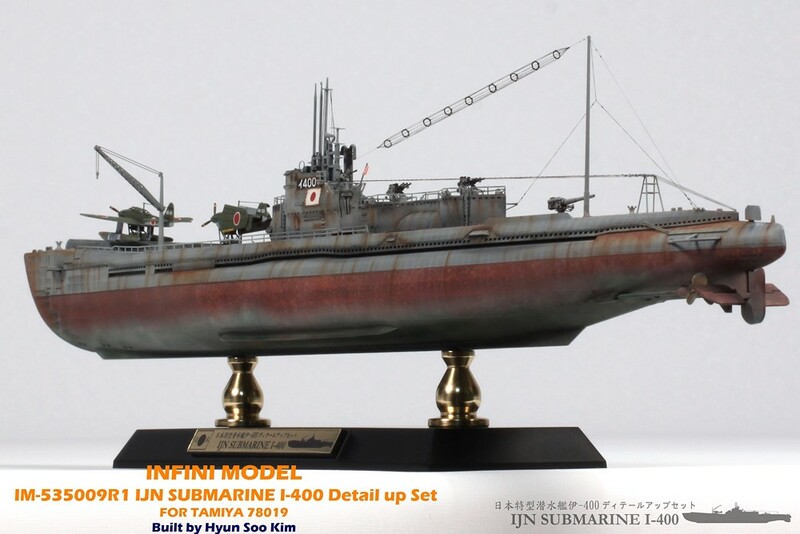 Superstructures, searchlight platforms, and yard arms are clearly visible. 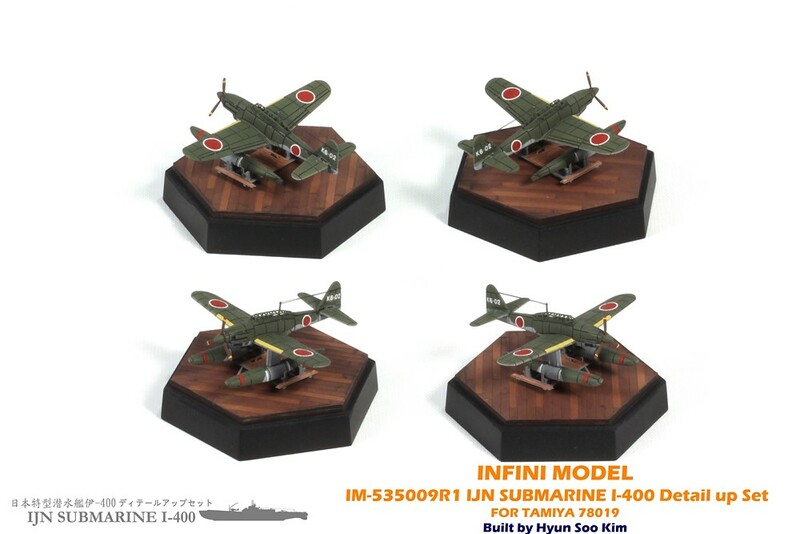 It seems that this is to share parts with USS Guam CB-2. 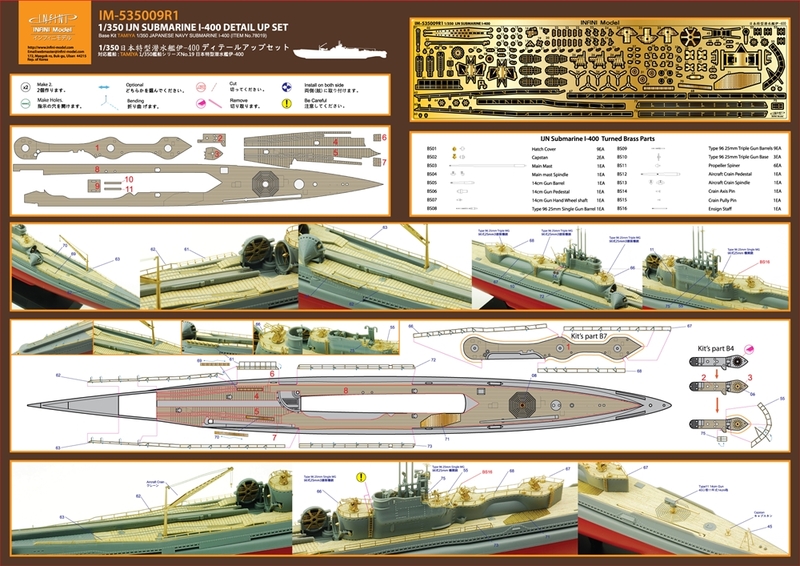 In 1945, Alaska's deck is a 20B-deck blue without camouflage paint. The picture above is a picture of USS Alaska CB-1 in January 1945. Holy Crap you guys need to lay for a bit. My wallet is a shattered, ruined shell of it's former self. Seriously though that stuff is amazing. 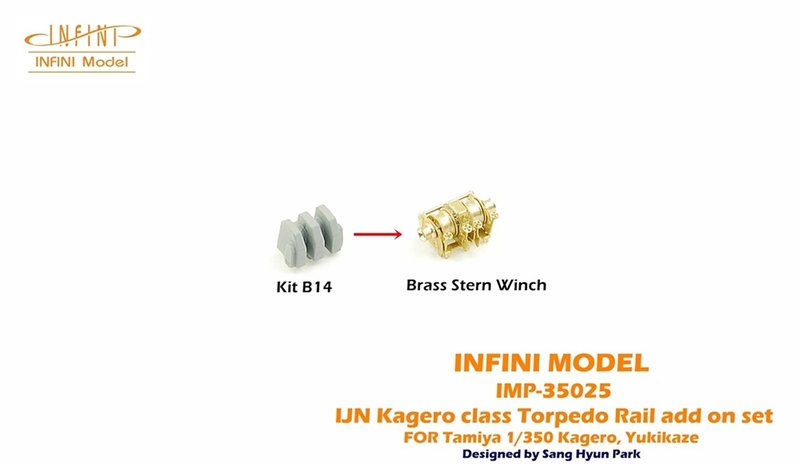 Thank you for your continued interest in Infini-model products. 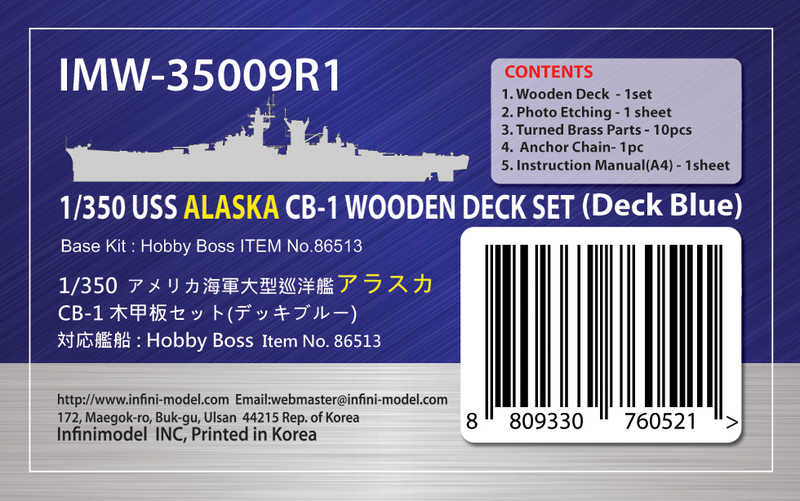 We also released the USS Alaska CB-1 Deck Blue wooden deck set at the request of our customers and dealers. [quote="Heavy Melder"]Holy Crap you guys need to lay for a bit. My wallet is a shattered, ruined shell of it's former self. Holy crap you guys need to lay off for a bit. My wallet is a ruined shattered shell of its former self. 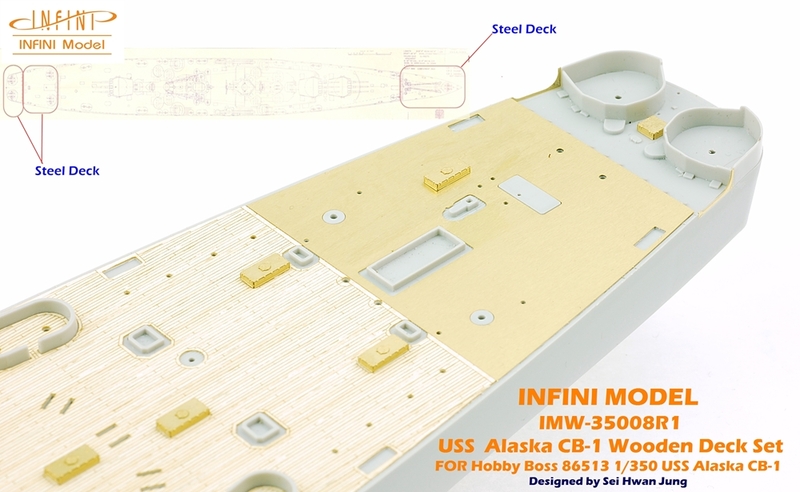 New product news of Infini-model in December 2017. 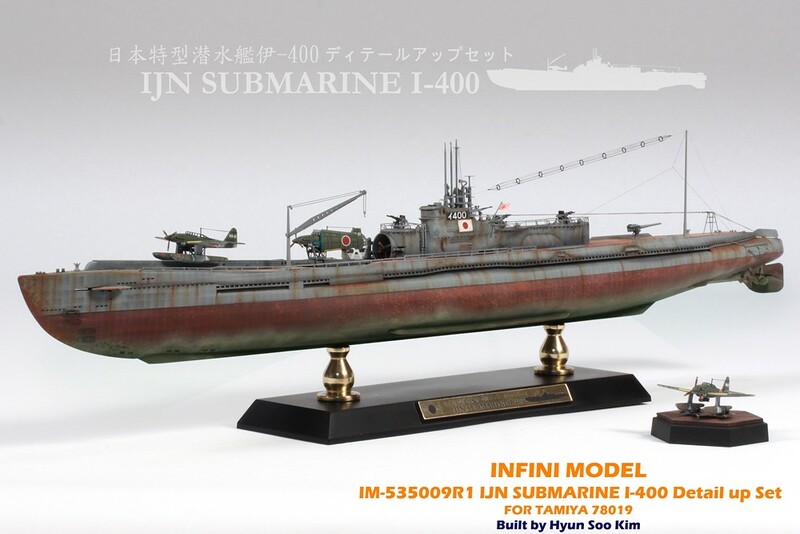 We release an add on set that can be used in common with the IJN Kagero class destroyer. 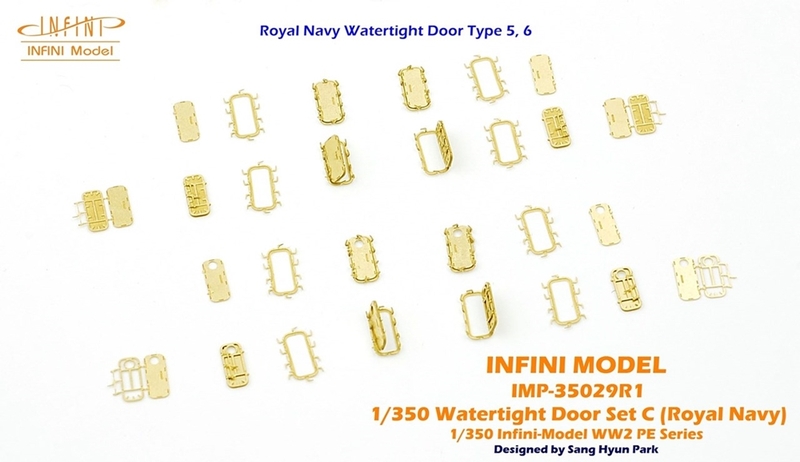 We also release a 4 kind of 1/350 Watertight door set. 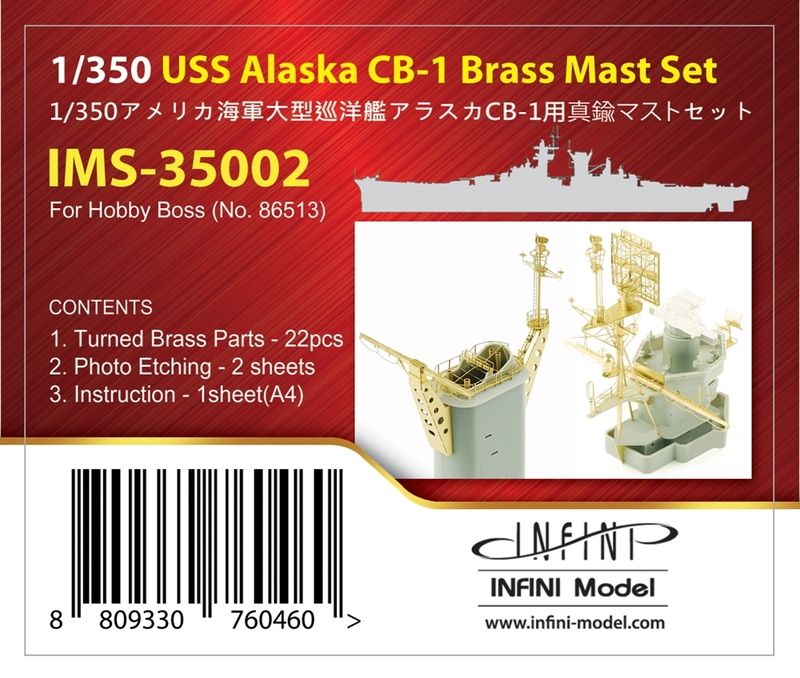 We released IMW-35008R1 USS Alaska CB-1 Wooden Deck Set for 1/350 Hobby Boss 86513.
and IMS-35002 USS Alaska CB-1 Brass Mast Set. 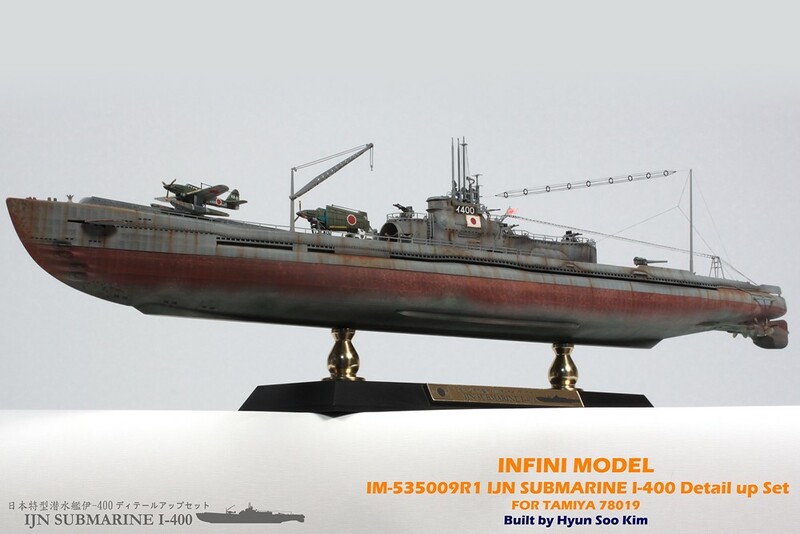 Very nice model! Nice to see the finished product. 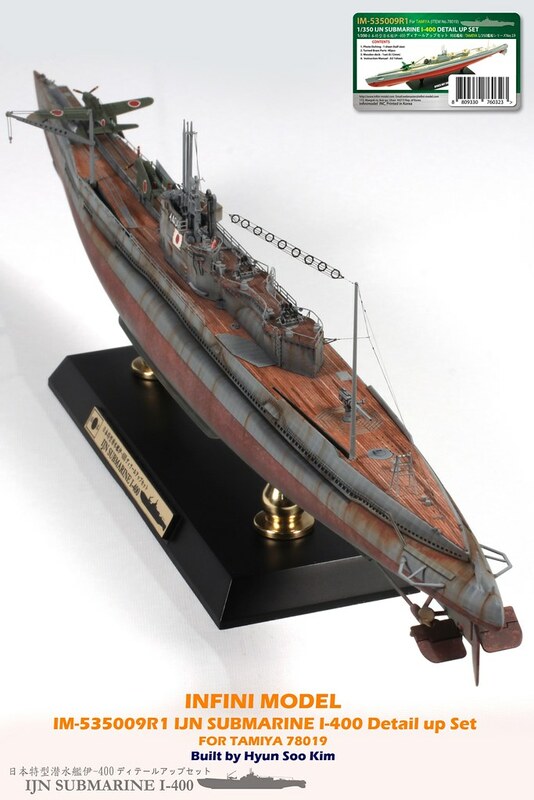 How did he go about weathering the deck? Also the oil canning is exceptional. Thanks for sharing! 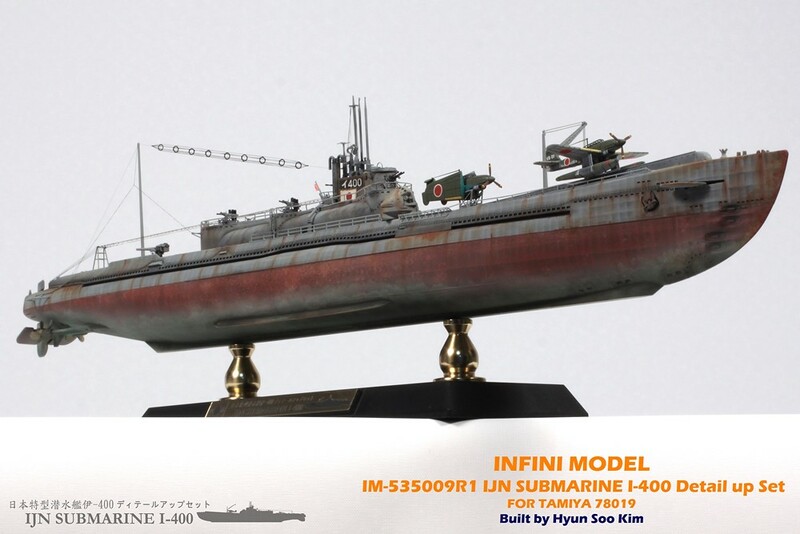 Here is Tamiya IJN SUBMARINE I-400 using Infini-model Detail up set built by my friend Hyun Soo Kim. 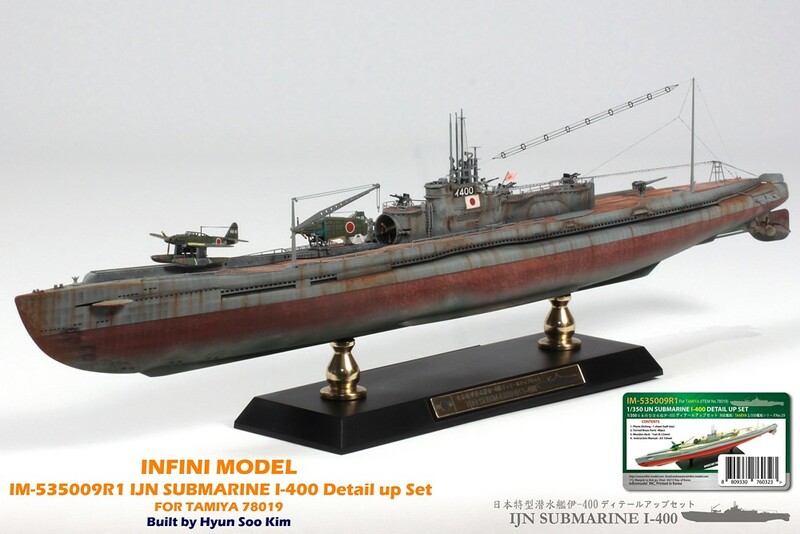 or failing that for Japanese Destroyers - like what you produced for the Yukikaze ? 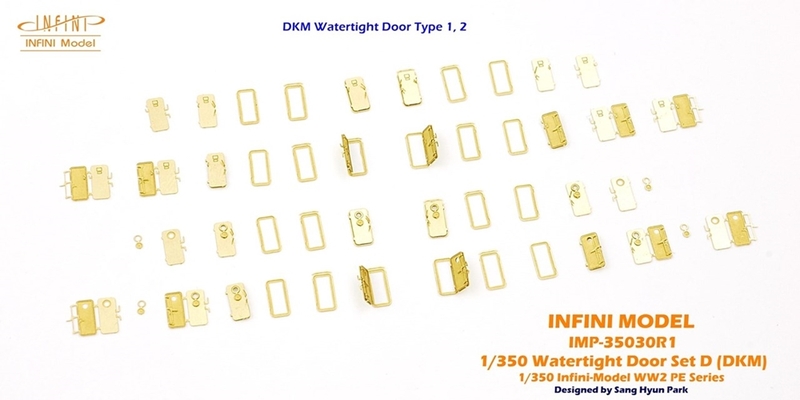 Customers who have recently used our products often suggest optional parts for deck fittings. thank you for making a good suggestion. 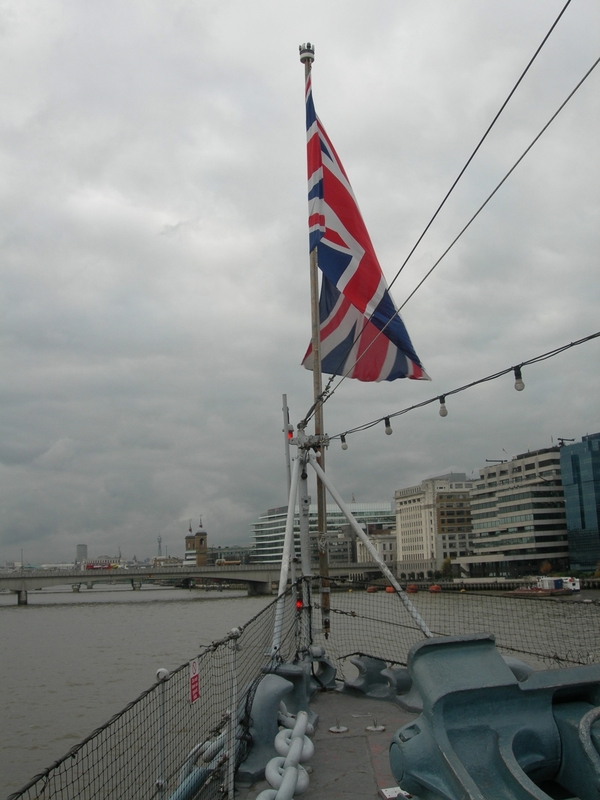 When I visited London a few years ago, I took a close look at Jack Staff in HMS Belfast and took pictures. 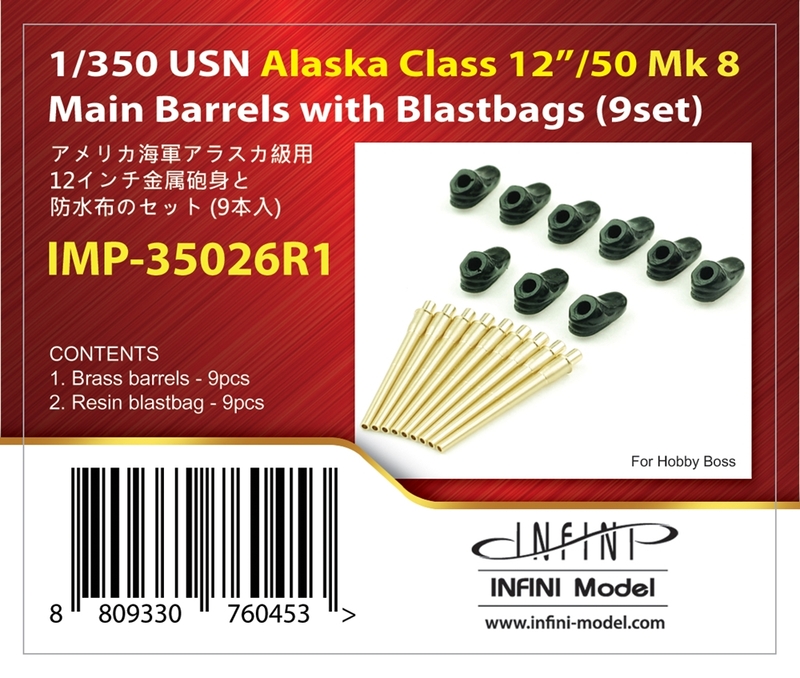 Thank you very much for purchasing two of the I-400 sets. 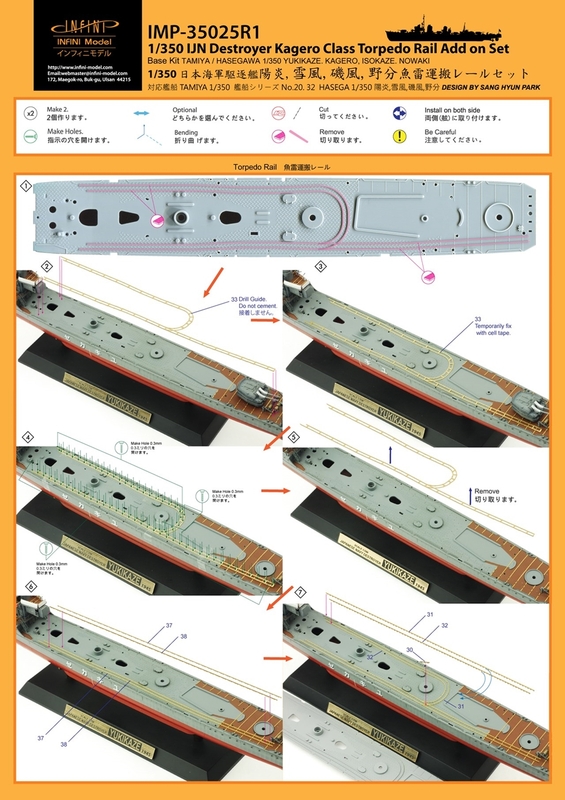 Here are pictures of instruction manual. 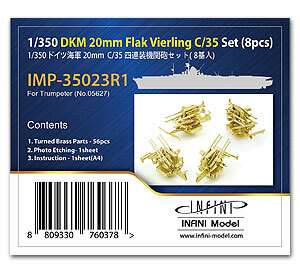 Thank you very much for your liking our DKM 20mm Flak Vierling C/35 set. 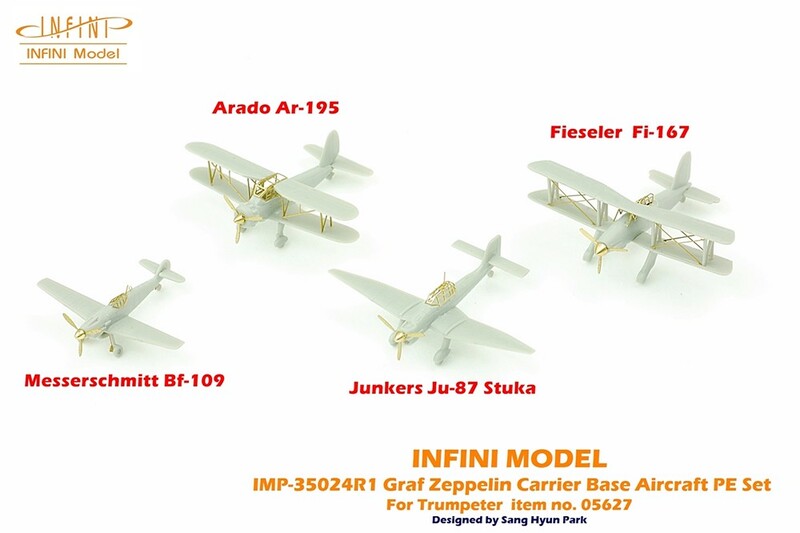 In addition, we have also released a 1/350 Graf Zeppelin Carrier Base Aircraft PE set. Thanks my friend. Iexpected you to like this I-400 Detail up set. 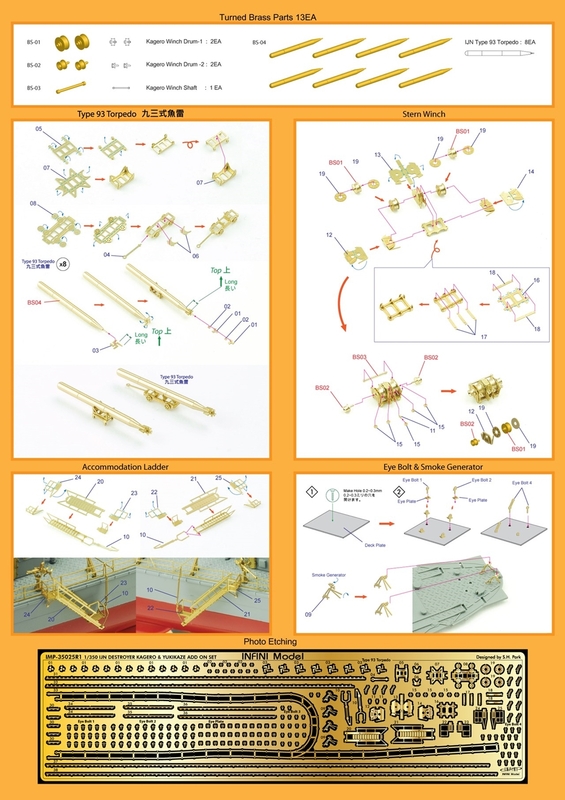 Thank you for your interest in our company and products. 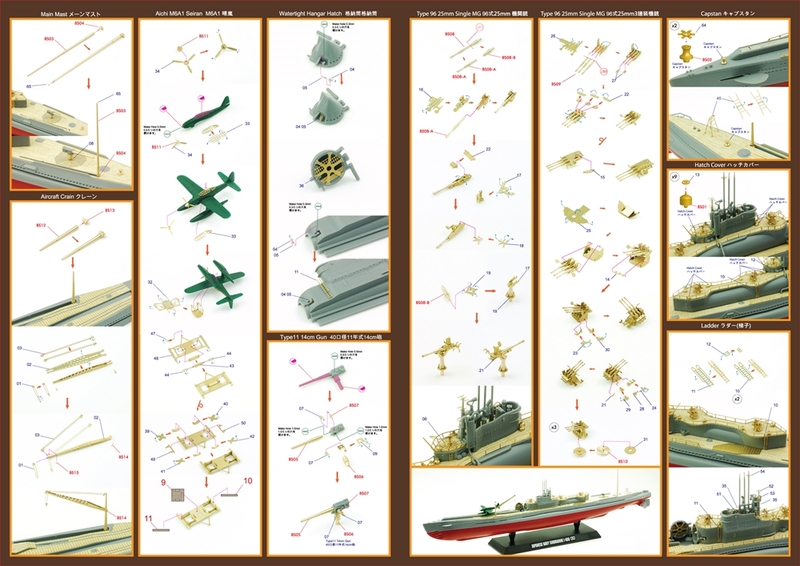 Revell 1/350 Tirpitz is a very big project. We need a lot of preparation to get started because these big projects take a lot of time and manpower. Our project scheduled for this year is already full by the end of the year. We do not want to make promises that we can not keep.